If you are supplying chemical products that require Safety Data Sheets (SDS’s) to multiple countries, you are also likely to know this headache well. With the implementation of the Globally Harmonized System of Classification & Labeling (GHS) around the world progressing, issues are beginning to appear which emphasize points where…. Maybe requirements are not so ‘harmonized’. One such issue, is ingredient disclosure requirements on SDS’s for mixtures across different regions of the world. The United Nation’s (UN’s) GHS system, does contain some standardized recommendations for SDS, including that SDS’s should be provided only for chemicals classified as ‘hazardous’, SDS’s should contain basic minimum information (e.g., 16 sections with specific headings), as well as more detailed recommended guidance on how to prepare each section of the SDS. Ingredient disclosure recommendations, in particular, appear in Annex 4 of the GHS. In general, the GHS recommends that for a mixture classified as hazardous, the SDS should list all ‘hazardous’ ingredients, which are individually hazardous to health or the environment, when the ingredients are present above concentration cutoff levels. There’s several parts of that general requirement, which can be viewed as a ‘can of worms’. Welcome back to the Regulatory Helpdesk where we answer your dangerous goods & hazmat questions. Due to the Holiday week, we have only 2 FAQ’s worth sharing. Check back weekly, the helpdesk rarely hears the same question twice. Q. We want to ship a 63 W-hr lithium ion battery. Are there any issues with packaging 2 or more together in the same container under IATA 2018 and 49CFR? If 2 or more are ok what is the limit? A. Under IATA you have 2 options and it will be up to you as the shipper to make the decision as to how to handle your shipment. As you know the 65 w-h battery falls into the excepted type. Now, for IATA that puts you in either Section II or Section IB. By the way, be sure to grab the recently published Addendum! For Section II batteries there is a change for this year. As per usual, there are several changes to the operator regulations. Also, these batteries cannot be packed in the same outer packaging as any other dangerous goods. The rest of the section still applies in PI 965. You are not allowed to offer more than 1 package prepared under Section II in any single consignment or shipment. One of my earliest memories from elementary school was deeply concentrating on my school work at my desk (at least some of the time), when suddenly being startled by a loud alarm. My classmates and I would jump up in excitement as we all meshed together in a quiet single file line, and our teacher would lead us out of the nearest exit into a parking lot on a nice Spring day. We would stand outside quietly until the principal would walk outside and give us a quick wave of her hand, and to our dismay we would all march back into school with our heads down to pick up right where we left off in the rest of the day’s school work. In hindsight, the fun and excitement of a fire drill as a child was in actuality a well thought out systematic process designed to help students and staff become aware of how to exit the building in the quickest, easiest, and safest way possible. The importance of these emergency procedures are not only important in our childhood school days, they should also play an essential role in the workplace. In fact, OSHA clearly defines what is expected when exiting a building during an emergency. There’s an old joke out there about what happens when you play a country song backwards. According to the joke you get your girl, dog, and truck back. Rascal Flatts even did a song about it. It is a pretty good tune. Take a listen here. So, how does a song about getting a truck back relate to forklifts and forklift safety? Well, by definition a forklift is a powered industrial truck. Since the joke and song talks about trucks you can see the connection. Forklifts are used to lift, move, and place various materials weighing anywhere from a few thousand pounds up to 90 tons. These powered industrial trucks must comply with OSHA standard 29CFR 1910.178. You can access a copy of the standard at this link. In 2016, accidents and incidents involving powered industrial trucks were listed in the top ten OSHA violations. To stress the safe use of the vehicles, need for operator training, education of non-users the Industrial Truck Association (ITA) has set aside Tuesday, June 13 as National Forklift Safety Day. This is the fourth year for such an event. Having a written standard, good safety policies and regulations surrounding the safe use of these machines isn’t enough. It requires every day awareness and commitment from drivers, managers, and other personnel in the areas with these trucks to stay safe. The week of June 12-18 has been designated as the inaugural Nationwide Safe + Sound Week. The week is presented by Occupational Safety and Health Administration (OSHA), National Safety Council, American Industrial Hygiene Association (AIHA), American Society of Safety Engineers, the National Institute for Occupational Safety and Health just to name a few. The goal is to “raise awareness and understanding of the value of safety and health programs”. All businesses and companies are encouraged to participate. The focus of the week is on three core elements. It covers management leadership, worker participation and find and fix hazards. Here is a brief overview of each taken from the OSHA website. How many times have you thought you understood a requirement, only to second guess yourself about whether you got that right or not? It could be something relatively straight forward, or something a bit more complicated. Everyone has these moments occasionally, especially with the implementation of GHS around the world. At ICC, two of the questions that seem to pop up from time to time, revolve around symbols on SDSs. Do GHS pictograms have to appear on an SDS? The answer: No. The ‘pictogram,’ specifically, doesn’t have to appear. This answer, in part, boils down to terminology. In both Canada, under WHMIS 2015 Hazardous Products Regulations (HPR) requirements, and in the United States, under Hazcom 2012 requirements, Section 2 of an SDS is required to list the label ‘information elements’ that are applicable to the product. Hazard ‘symbols’ being one of the required ‘information elements’. Oprah Winfrey once said, “I’ve talked to nearly 30,000 people on this show, and all 30,000 had one thing in common. They all wanted validation.” Validation is receiving feedback from others that what you do and say matters. It is an acknowledgment of your actions, deeds and accomplishments. To be a healthy person we need to receive positive validation and be able to give it to ourselves. So is it possible for a company to receive validation? I believe so and here’s why. In one of OSHA’s recent Frequently Asked Questions (FAQ’s) postings a question regarding the use of ranges on Safety Data Sheets was added. To see the full FAQ and the answer, please click here. The specific question asked is: When may chemical manufactures/importers use concentration ranges rather than an exact percentage composition in Section 3 of the SDS, and how does this apply to trade secrets? Let’s take a closer look at OSHA’s answer. There are several parts to it and each deserves some attention. The Occupational Safety and Health Administration and the U.S. Department of Transportation (DOT) Pipeline and Hazardous Materials Safety Administration (PHMSA) issued a joint guidance memorandum that is intended to provide clarity on the applicability and relationship between, DOT’s labeling requirements under the HMR and OSHA’s labeling requirements for bulk shipments under the HCS 2012. PHMSA’s hazardous materials regulations require labeling of hazardous materials in transportation, while OSHA requires labeling on containers in the workplace. 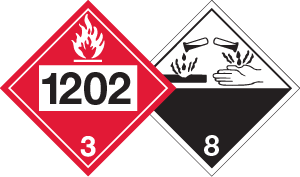 When OSHA released its Hazcom 2012 (29 CFR Part 1910.1200) revisions, Appendix C.2.3.3 stated that “If a label has a DOT transport pictogram, the corresponding HCS pictogram shall not appear.” The Hazardous Materials Regulations state “No person may offer for transportation and no carrier may transport a package bearing any marking or label which by its color, design, or shape could be confused with or conflict with a label prescribed by this part” (49 CFR Part 172.401(b)). 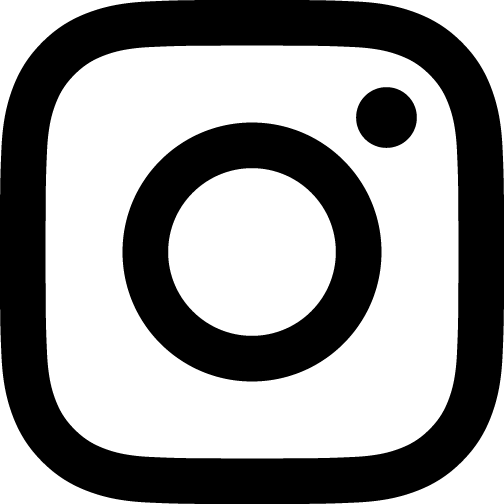 This raised many questions with stakeholders, and shortly thereafter, OSHA published a brief that stated that PHMSA does not view the pictograms as a conflict, and both may appear. OSHA continues on in the brief to state they intend on revising C.2.3.3, but in the meantime, they will allow both to appear. This new guidance document further confirms this position.